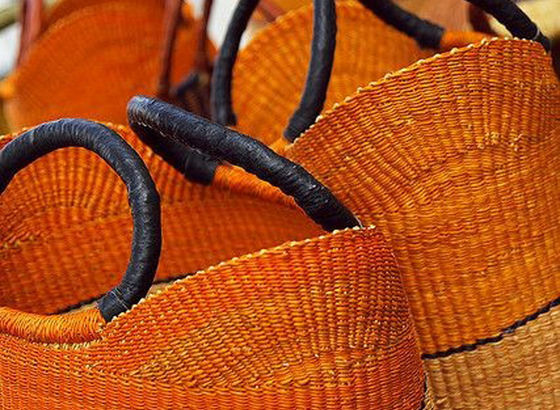 As Wikipedia says, a basket is a container which is traditionally constructed from stiff fibers, which can be made from a range of materials, including wood splints, runners, and cane. 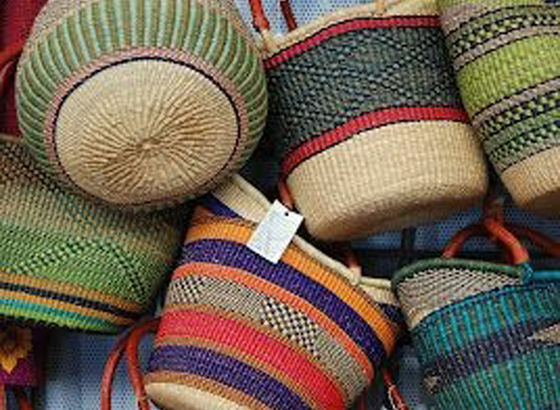 It is used to transport things or food. 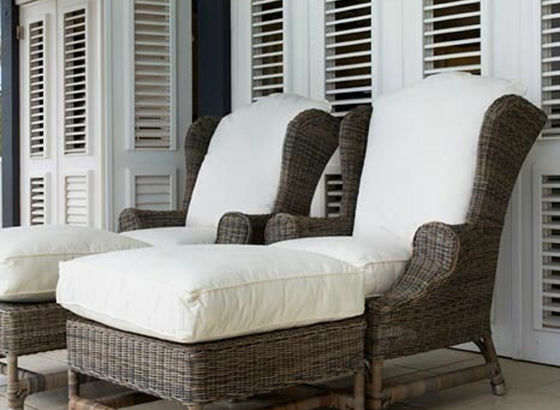 Wicker is a material made of plant stalks, branches or shoots formed by a kind of weaving into a rigid material. 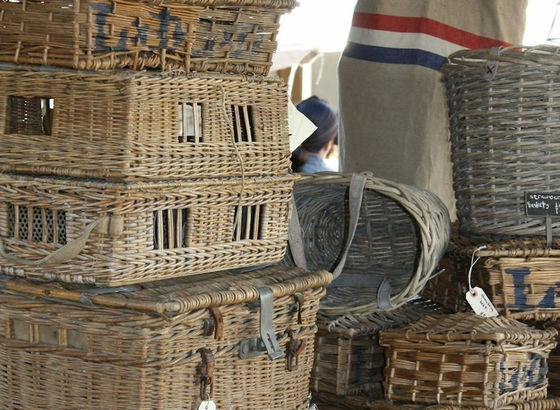 In the nineties these baskets were completely out of fashion and the ones who loved them were considered crazy! At that time I lived in a big town and the rule was: black, chrome-plated and glass! Fashion was really androgynous then and it was impossible to love such items! 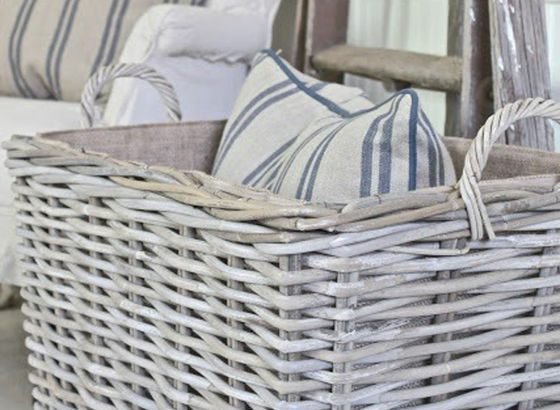 From then I decided not to let anybody feel me in this way for loving wicker things. 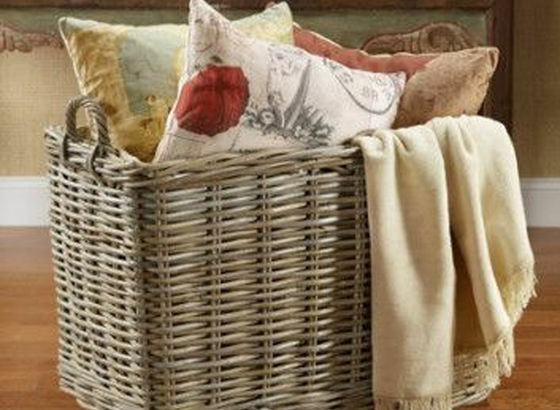 It doesn’t mean I’m out of fashion just because I’m in love with these baskets! 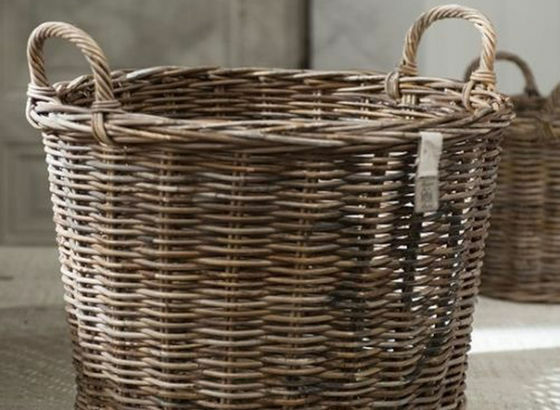 If I see some baskets, it doesn’t matter where, it can be at a little market or in a shop, I immediately have to stop. I feel comfortable with them, they give me a sense of “feeling at home”, of being welcomed in any way. 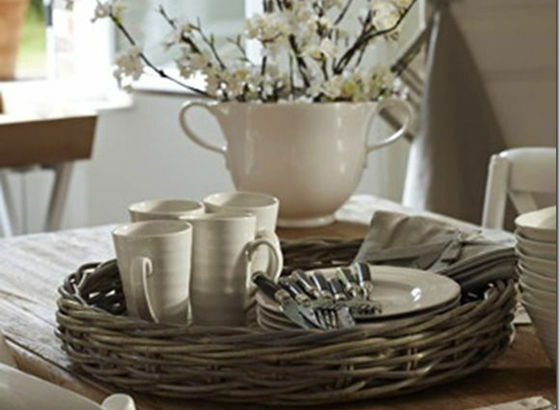 And they are wonderful box for anything, they can be decorative and very adaptable. 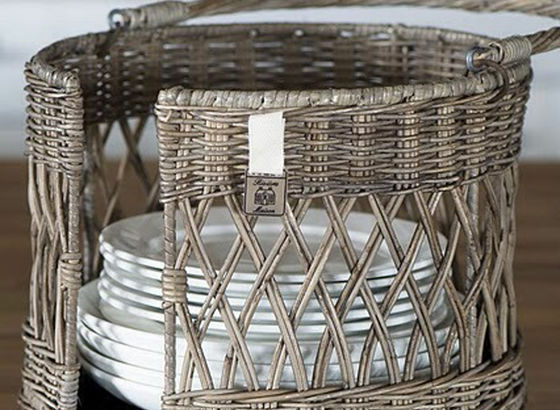 You will understand what I mean if you read some examples/suggestions to use these baskets. 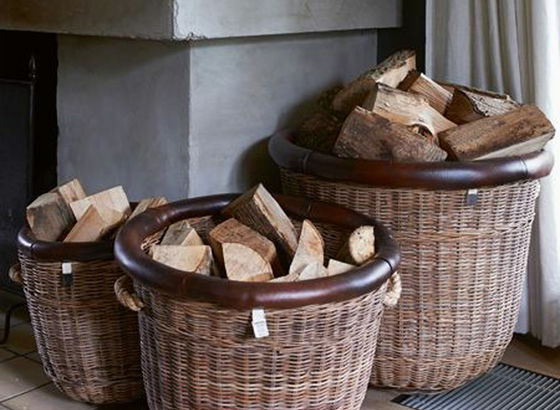 It’s getting cold and the first idea I have is: why don’t bring a big basket (Flamant) and use it to keep the wood for our fireplace? 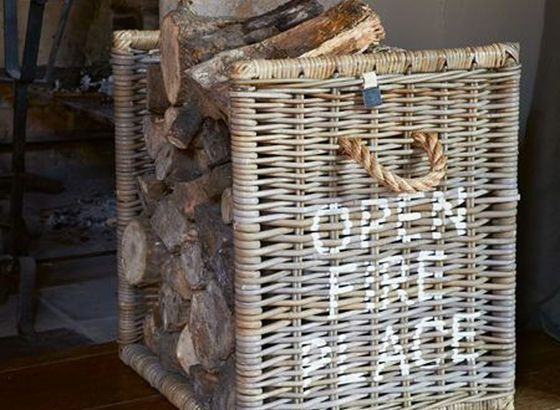 Put another one next to it to leave all your fireplace stuff! 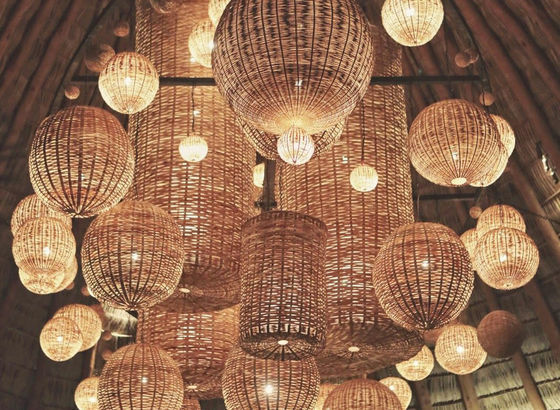 In a house in the country or at sea you can just put some baskets on the floor on their opposite side as they were a furniture and with some led light bulbs (very good because they don’t warm up) you have beautiful lamps and your light in a room is ready! 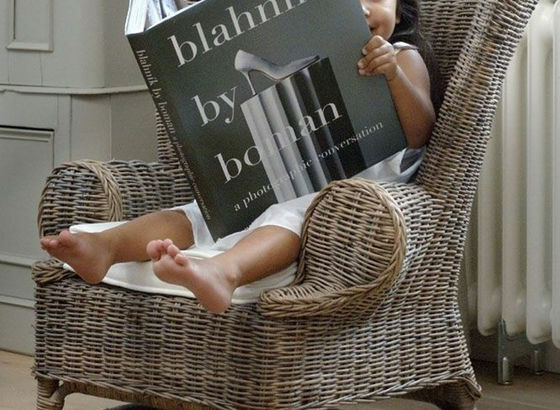 In the same way you can create floor lamps with the stalk you want to obtain. 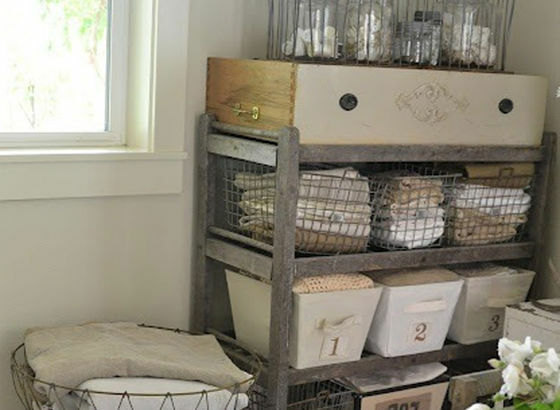 Another use is to tidy up your kitchen and your bathroom! 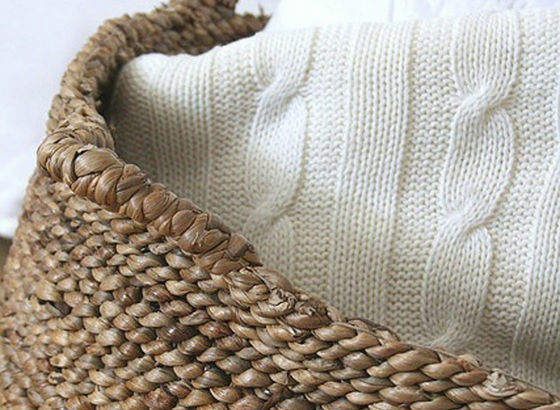 The little baskets with hooks can be perfect! 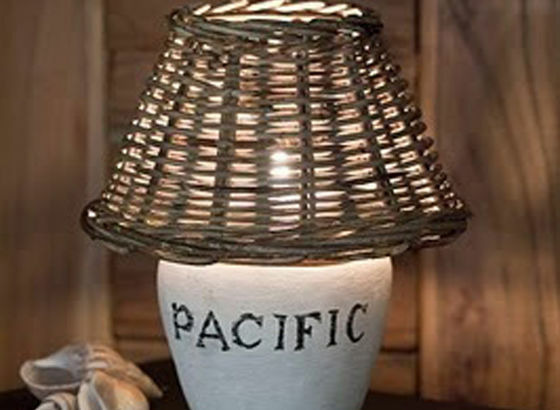 We can hang them on a bracket made of metal or on a wooden stick to get a more country look. 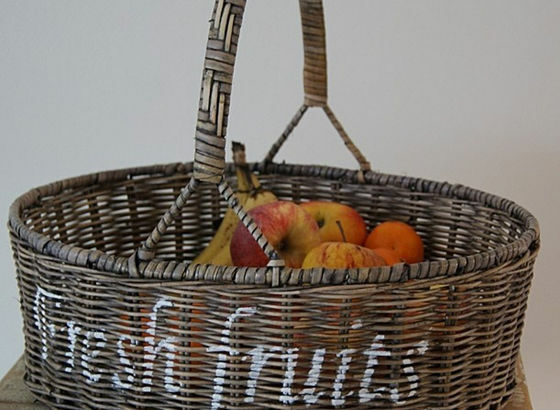 Baskets are wonderful to gather fruits, potatoes, onions and walnuts. If you love them as I do, you will imagine how it is easy for me to go on with this list because their use has no limits. Let’s think about laundry! 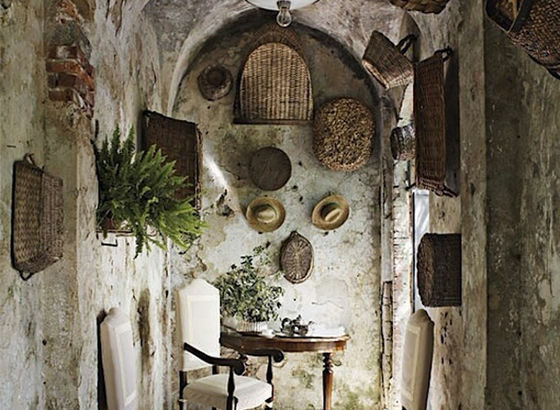 But just for a while because for this subject I have an article completely dedicated to this room (see my article “The laundry: a room just for women!”). Where do we put our dirty clothes? Where do we put washed things that are ready to be ironed? 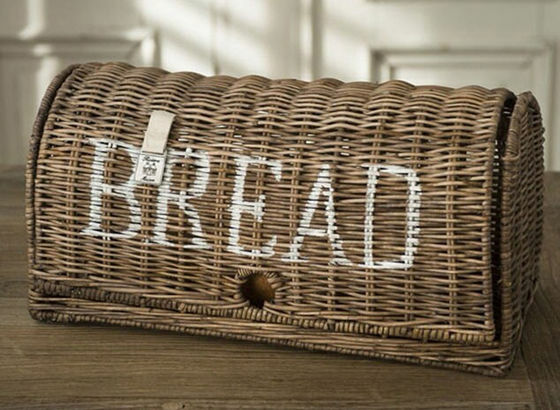 In a basket of course!!!! 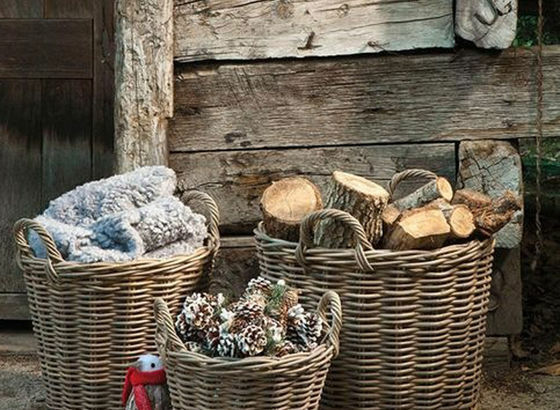 Imagine Autumn and Winter…everybody likes cuddling up with a warm plaid. During the day this plaid has to have its place. 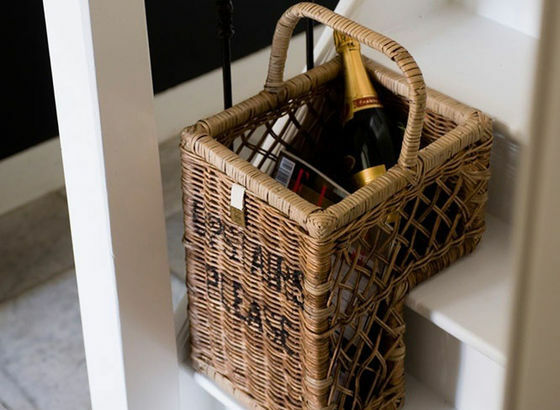 What is better than a wicker basket? I like those ones from Flamant because they are provided with handles and it’s very easy to move them from a place to another. 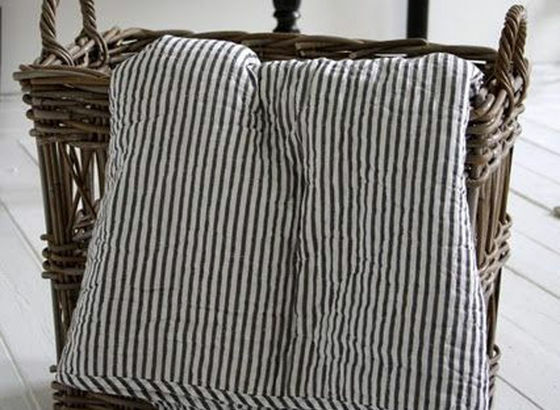 In this way I have found three solutions: my sofa is tidy, my plaids are decorative even during the day and they are ready to be used in the evening whenever I want to. 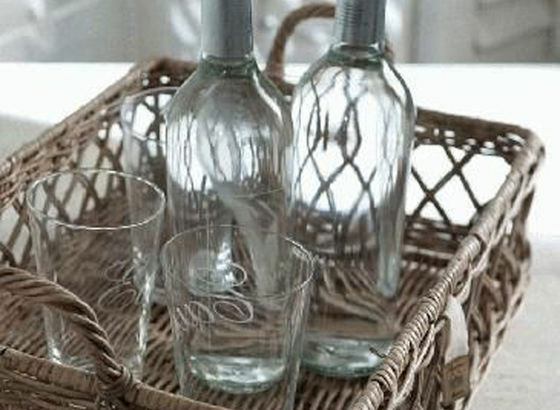 In my kitchen I have another example of good use of baskets: I have a shelf with holes to put bottles made of wicker (Riviera Maison). 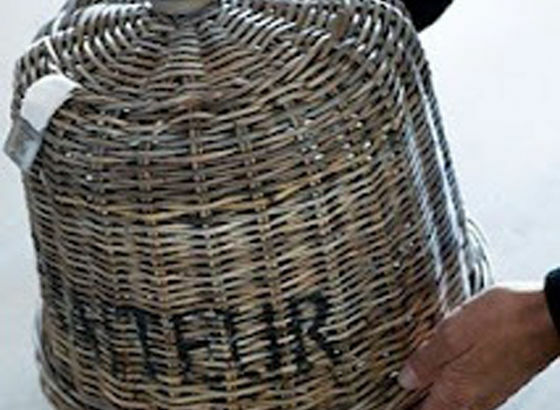 It is about 1,20 meter high and it’s very useful for water, but who prefers can keep wine bottles as well. 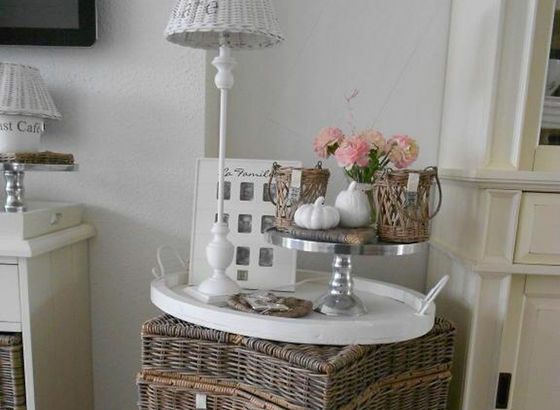 Always in my kitchen I have a basket on a little table that I use to decorate differently according to seasons: flowers in Spring, candles and garlands in Winter! 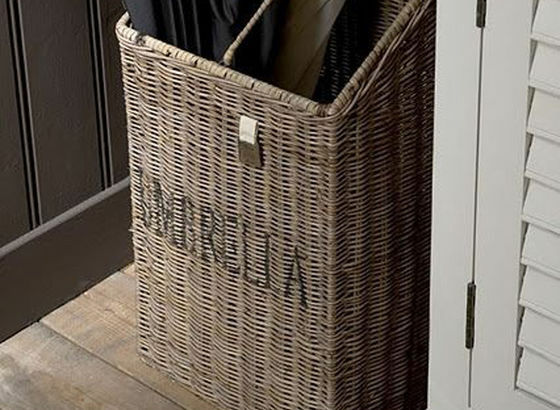 In my office I have a whitened basket that I use for my “ideas/suggestions/things to make”, what I use for my creation: ribbons, kraft paper, pieces of fabric, things that kept my attention in any way and I decided they could be useful as “Eta Beta” by Mary Poppins! 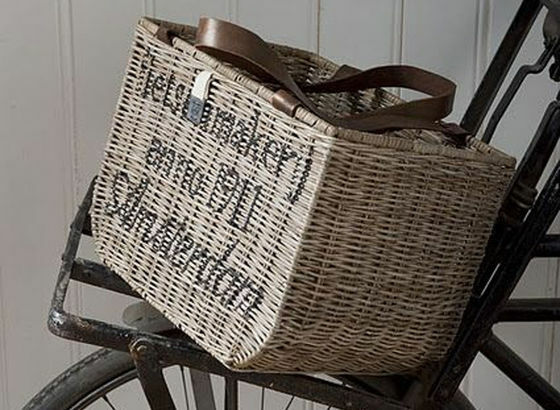 In my house in the mountains I have a bucket with handles made of wicker. 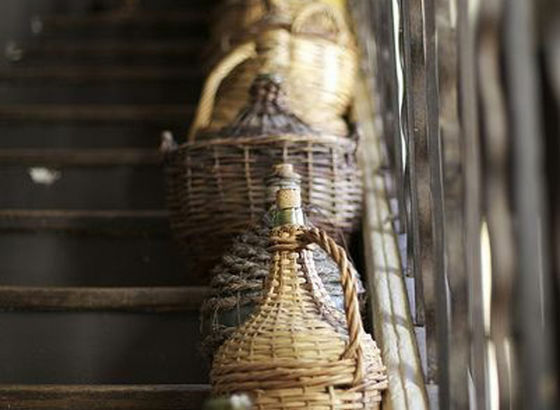 Its task is to keep wine bottles in a decorative way. 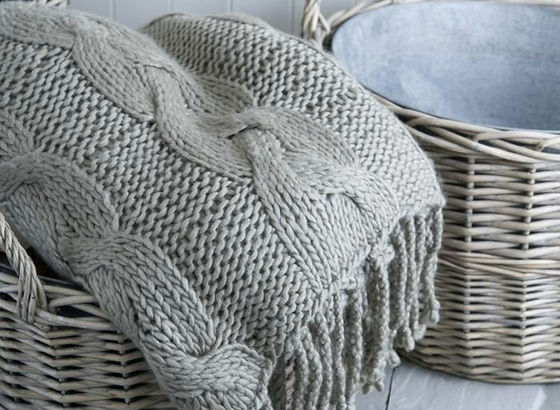 If you hang a basket to a clothes hanger it can be the right place to leave keys, wallet, mobile…or a “deposit” for scarves and hats. 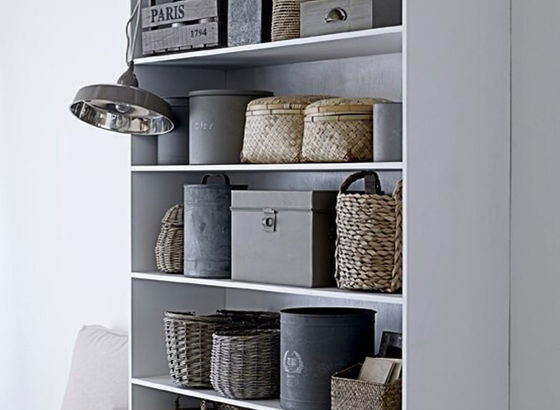 It’s a perfect solution to have everything we need at our disposal and in the same time everything is tidy. 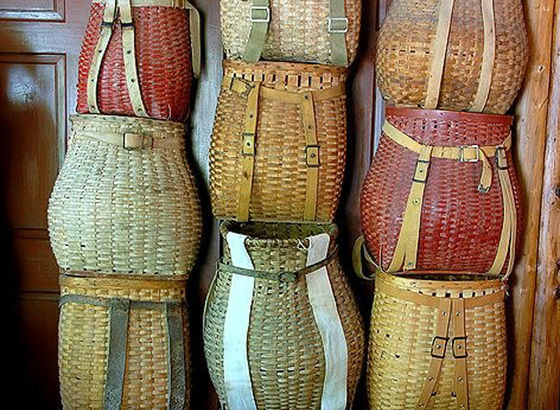 Do you want to talk about wicker chests? A friend of mine gave me one that is really beautiful and it has a closing made of iron. These chests were once used as place to keep women trousseau but I have used as table/box in front of my sofas for many years! 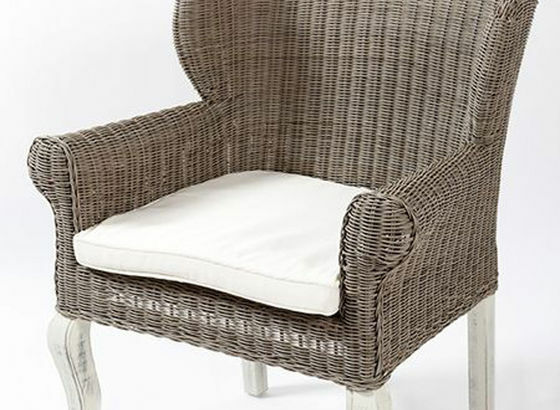 The chairs around my table in my dining room are all made of wicker. They have a modern shape but they keep their “good soul”. 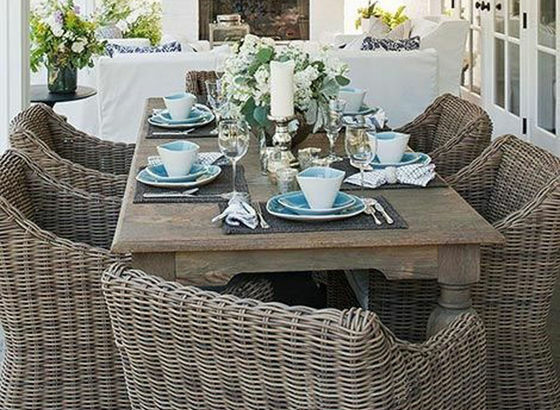 I sometimes change the color of cushions and people who see them always say they are perfect with the big Flamant table in Nordic style from 800. 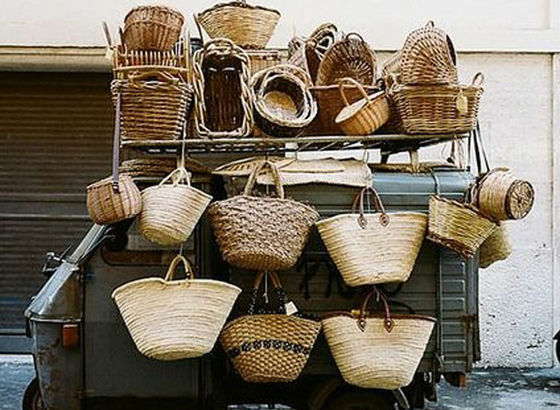 Wicker bags as French people love! 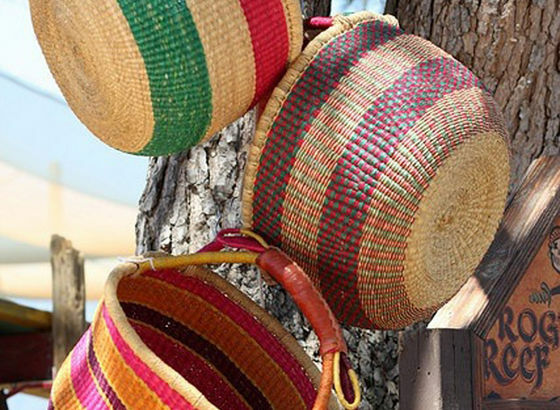 They are nice to do shopping at the market, they are colored and with strong handles because they can carry vegetables and fruit, or fresh flowers…they seem a painting from old times, a sort of still life without being out of fashion! 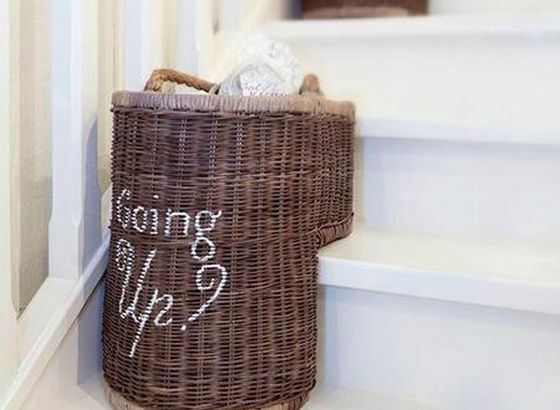 I have a two floors apartment and to make it easy carrying things from a floor to the other one, I have left some baskets on the stairs. I said some which means more than ones because in this way I move things that are already divided and when they reach the second floor I don’t have to separate them anymore! In my office I couldn’t do without them! 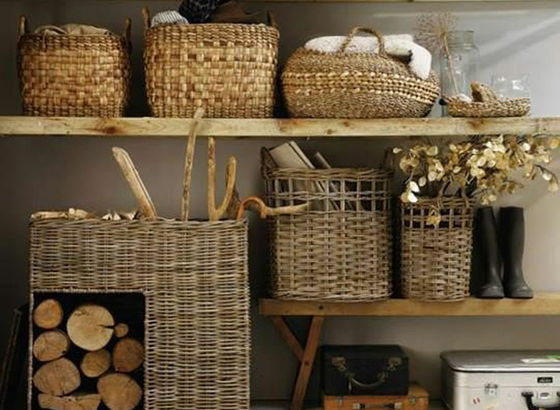 To keep everything tidy is necessary to me because I have to find things easily and my baskets can welcome anybody in a room that is my office but also a pleasant room in my house! (See my article: “Home office – my desk is at home”). 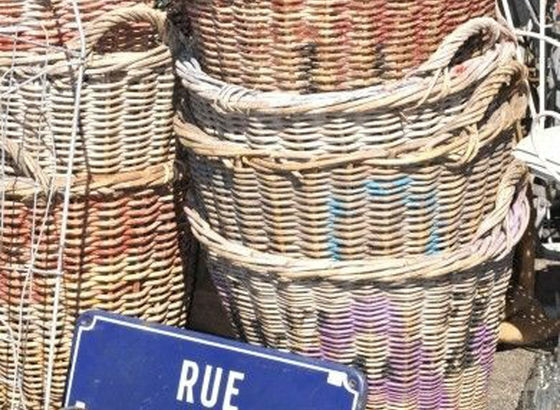 My last bought at a little market: a very old basket but still in good conditions that I’d like to bring to my house in the mountains. It will be my fellow during my walk in nature and it’ll help me to carry things I find in the wood and I want to gather to bring home. 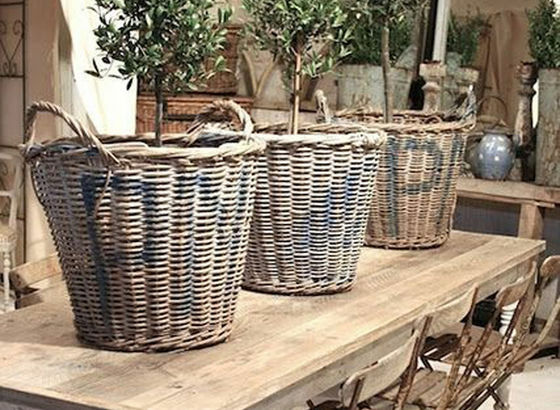 So it’s clear now how much I love wicker baskets! Even if I have got so many it’s impossible for me not to buy another one and make it a welcomed member of my “family”! It will have many “brothers” and it won’t suffer from loneliness at all!!! 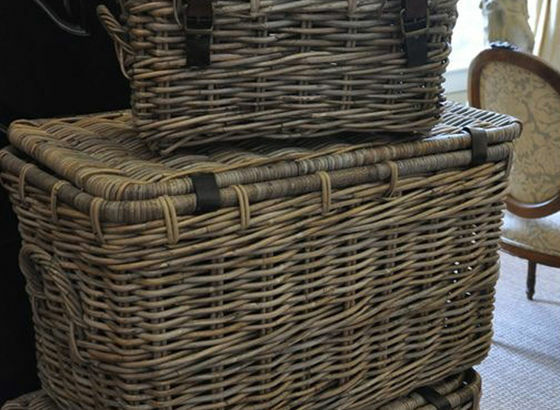 I spoke in this article about all the baskets I have but there are many other versions everywhere and they can fit any house. This because they are of different colors and materials. 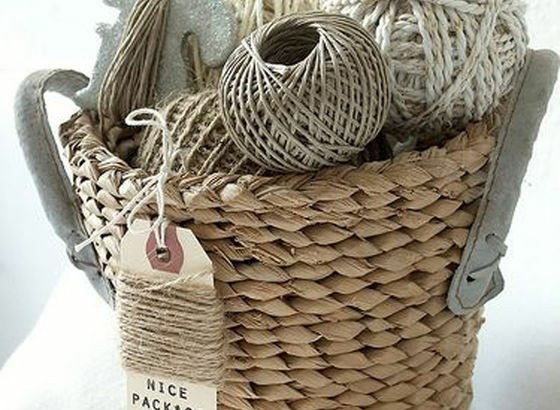 You can find even baskets made of plastic or recycled paper (www,cartaoltre.it). 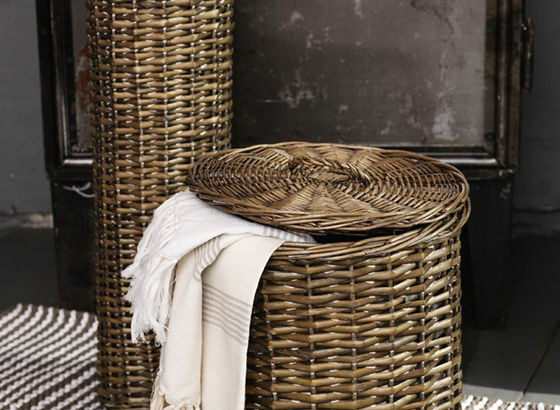 If you are interested in tiding up using baskets as well, my article “Furnishing with style – part 2” is to be read!